Blogging is the only field where Traffic is welcomed. In fact the more the better is the main objective of a publisher when he plans to inaugurate a website. But why would readers choose to stay glued to your blog? What subject is yet untouched and not so talked about on the internet? Nothing at all.. But still one can hope, dream, wish and see all of it coming out to be true if one follows the proper syntax and semantics of Blogging. Following are the ways adopting which a Blogger would have no regret in his choice of Blogging. WordPress is undoubtedly one of the best platforms offered for blogging. Apart from the benefits of making blogging easy as compared to DreamWeaver and HTML where a lot of focus is required on the coding purpose, WordPress is an open source blogging tool and it also attracts a lot of traffic on account of its higher page ranking probability compared to other blogging sites. It also has numerous themes which load the blogs faster than others and thereby attracting more users. An extra added benefit of using WordPress is the plug-ins that it flourishes you with. These plug-ins are extremely useful when it comes to optimizing your site. The WordPress plug-in called Yoast can work like a magic for you. Also there is a premium SEOprocessor plug-in for even better results. It enhances your page ranking by giving amazing responses to particular keywords search in the Search Engines. The major mistake committed by bloggers is that they absolutely neglect the “404 Error Page”. The problem that occurs here is when a visitor encounters a 404 Page, he is tempted to close that window and move on with some other blog. Instead if the 404 Page is worked upon and a link to your own blog is included in that page, the visitor will click on the link and stick to your blog. This helps in preventing a huge amount of traffic diverting away from your blog. Make sure the style of writing is lucid yet interesting at the same time. Give your readers a reason to read what you write. Update more often and make sure that the articles are innovative and useful. Fill up the stadium with enough audience on account of GOOD WRITING SKILLS. Also make sure that you include some images relevant to the topics as it would not only make the blog look attractive but would also help in gaining huge scores when it comes to SEO. Google Analytics is another Application by Google which is a very usefool tool for the bloggers. Using Google Analytics, a blogger would know about the number of visitors visiting the blog each day, the status of his blog, the location of these visitors etc. Judging by the rise or fall of the status, one can schedule their blogging mannerisms and hunt for a way that proves best for the blog. These days almost all the social networking sites offer you to add a SHARE button on to your blog. They provide you with a code which you need to include in the HTML code page of your blog and you are through. A visitor won’t take the pain to read your blog and explicitly go and talk about your site on his Facebook or Twitter page. But having a button on the blog makes it way more convenient for the visitor to click it and let the world know about it if he likes it. Here comes the killer task that judges your efficiency level in the field of marketing with blogging. You need to search for the keywords that are punched the most into the Search Engine and include those keywords into your blog. Mainly users go for those keywords that are suggested by Google. And if you add those keywords into your article, getting a gazillion of visitors daily becomes a cakewalk. You can also use the Google AdWords Keyword feature of Google to get the most popular keywords. Be generous enough to comment on other blogs that are of the same niche as yours. But not blindfolded comments. If necessary read the blog but dont comment anything irrelevant to the content of the blog. Try to be the first one to comment as people are always tempted to check out the blogs of the first commentator. On account of this you not only get the regular visitors but also get the visitors of those blogs adding to the much needed traffic. Guest Posting is a very good technique to make some professional contacts. If your blog is accepted by a popular website and is included there, you get a lot of appreciation and attract much more traffic towards your own blog there on. Hence always watch out for such popular sites who welcome new writers to write a column for them and be their guest. Make sure you are giving your best while going for Guest Posting, since as much as it enhances your chances to be one amongs’t Who’s Who through your quality writing, it can equally ruin your chances of even gaining one extra person on your blog due to poor writing skills. Blogrolls work on the Symbiosis principle. People create blogrolls expecting a symbiotic reaction. You can add links to the sites that you have visited and which are similar to the niche that you follow and add those to your blogrolls. The sites are notified about your deed and sometimes in return even they end up including your site into their blogrolls. The advantage of this is that whenever a visitor visits that site, they might see the link of your blog on their blogroll and might find your blog interesting thereby ending up being your regular visitor. These are the various Beeps and Honks loitering in the experiences of traffic gaining processes adapting which a blogger lingers in the blogging business for long giving a tough fight to its fellow competitors. How to speed up Windows 7? 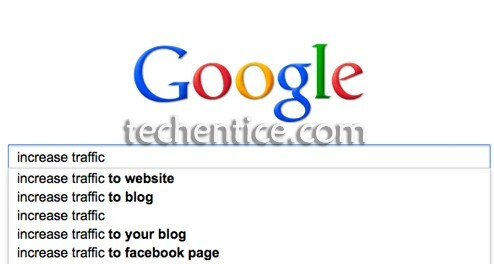 Very good tips for new and amaeture bloggers.Thanks. now days, Guest post is not safe, google penalizing blogs which involved in guest posting, for seo and backlinks.